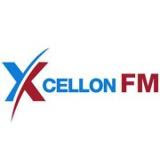 Xcellon FM: How CAFM Software helps in making Facility Management an Easy Task? How CAFM Software helps in making Facility Management an Easy Task? Technological Advancements has made everything easy and quick. Same thing goes with Facility Management as Facility Management is an area that really demands great precision, on time updates and a hassle-free, easy to use way to execute the daily processes. The area necessitates competent manpower to make sure that not even a single issue occurs, in case anything goes wrong, rectification needs to be carried out right away to ensure that the pipelined things aren't impacted. Computer Aided Facility Management (CAFM) Software facilitates in easing the job of a Facility Manager and his team. 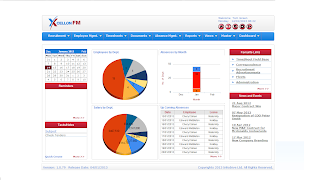 CAFM Software helps in executing Facility Management by means of computer. CAFM Software providers have made the software so user-friendly and customized that any type of industry can integrate the software into their system and manage their facilities in an affordable and a time saving manner. With CAFM software, it is possible to integrate the systems of your clients and vendors with yours in such a manner that they get the access to task lists, orders, stock as well as invoices and you can keep track of the same as well . This ensures a robust unambiguous bond between your vendors and clients as well as leaves no room for communication errors. Your incorporated system can be accessed through internet and thus, your clients can be in contact with you even from a faraway place. CAFM software can be employed in all types of business, small, medium or large-sized. The CAFM Software is a modular and user-friendly end-to-end solution appropriate for all FM businesses that includes Facility Services, Building Services, Air Conditioning, Heating, Electrical, Property Maintenance, Plumbing, and Fire & Safety and so on. The sectors that can be benefited utilizing this computer aided facility management software includes the Human Resource department, project management, service and maintenance, projects as well as finance. The advantages of employing a CAFM software in your business is that you get precise and accurate listings, it is possible to handle your clientele in a more satisfactory manner, enabling them to have more faith in your organization due to this integrated clear system. Besides, your efficiency enhances, productivity improves and your team ought to put in a really small amount of effort. The probabilities of issues and glitches are also lowered to a minimum. The only tricky part of the Computer Aided Facility Management software is that you ought to have a competent team which has gone through comprehensive training in operating the system. The software vendors can help you with training as well as consultancy services and maintenance or upgrades of the software on a regular basis. Training is essential so that your Facility manager is aware of how the system functions, how to troubleshoot problems and making the best use of this software to the company's benefit. In the nutshell, the CAFM system is beneficial you in various manner. First and foremost, it minimizes your expenses, superior data organization and management can be achieved. Moreover, efficient space allocation, lowering the number of transfer expenses, fast and real time information supply and above all, improved efficiency and productivity. Thus, everything you thought a Facility Manager ought to perform is carried out by the CAFM software, with minimum cost, far more efficiency and with ease.